Preheat oven to 350° F. Spray regular-size muffin tin with non-stick baking spray. 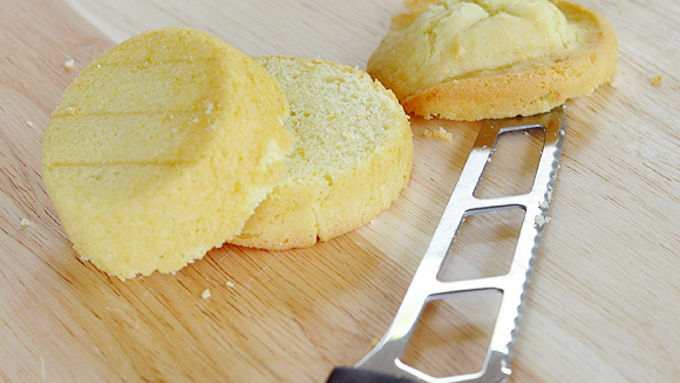 With a small, sharp knife, level tops and cut mini cakes in half. Invert the cake. Add 1 Tbsp jam to center, keeping jam away from edges of cake. Top with remaining half (so mini cake bottom is now on top). 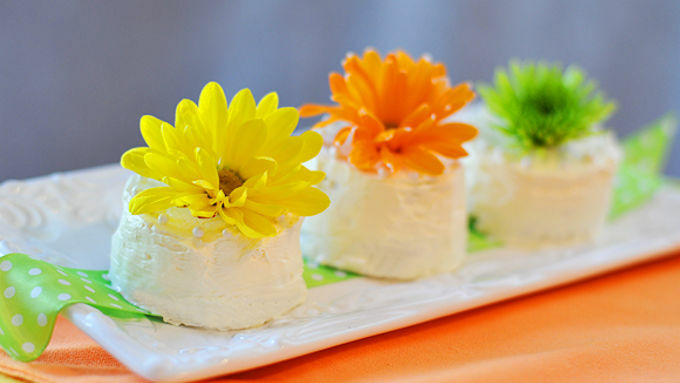 Using a small knife, spread frosting on sides and tops of cake. Garnish as desired. Keep a separate small knife in a glass of hot water. After frosting a mini cake, run the hot, wet knife over the frosting to smooth it. 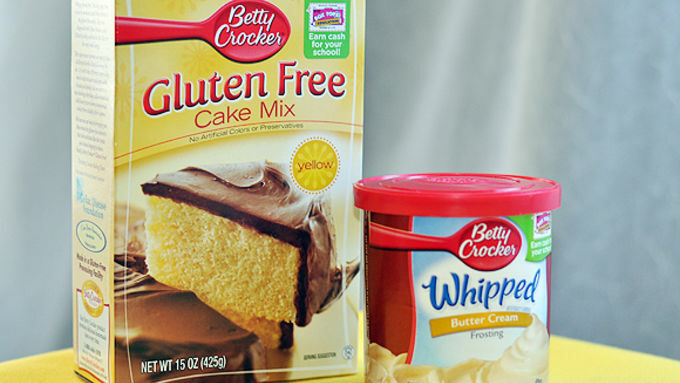 Betty Crocker™ makes a gluten-free devil's food cake mix and gluten-free chocolate frosting, too! 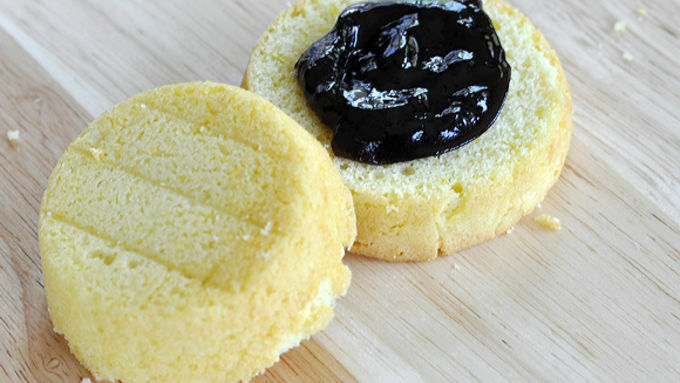 Gluten-free raspberry jam would be a great filing, or thick, gluten-free hot-fudge sauce. Here's a brilliant way to let your gluten-free guests have their cake and eat it too. These days, wedding cakes can be as vibrant and creative as the couple wants. But what's a bride to do if she or some of the wedding guests are gluten intolerant? Who wants to say no to cake? Come on -- that's a nuptial no-no. 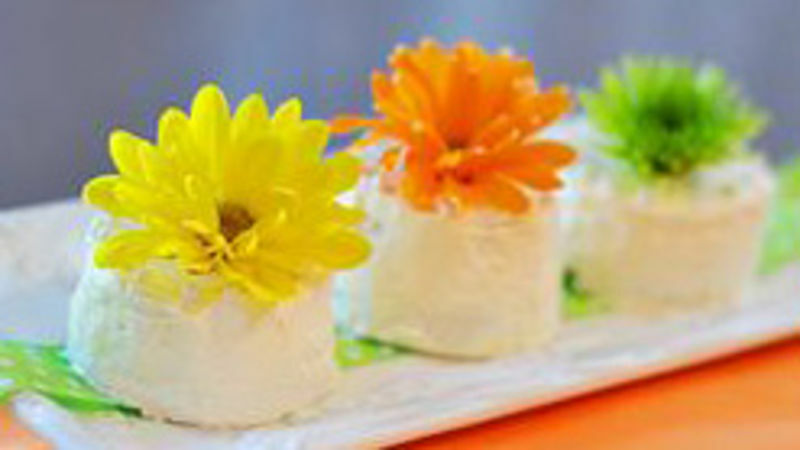 So, make these cute and yummy Mini Gluten-Free Wedding Cakes for your gluten-intolerant guests -- and everybody will think you're the most thoughtful bride in all the universe. No bridezilla here. No, sir. First, mix up a box of Betty Crocker gluten-free cake mix. I added some lemon zest and gluten-free almond extract to the other ingredients. Fresshhhhhh. 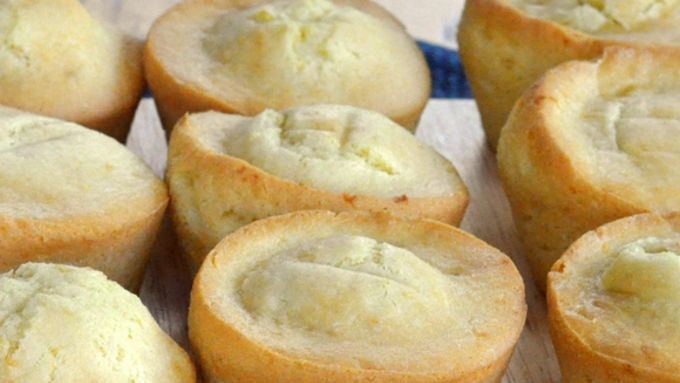 Bake them in 12 regular-size muffin tins, and let 'em cool completely. 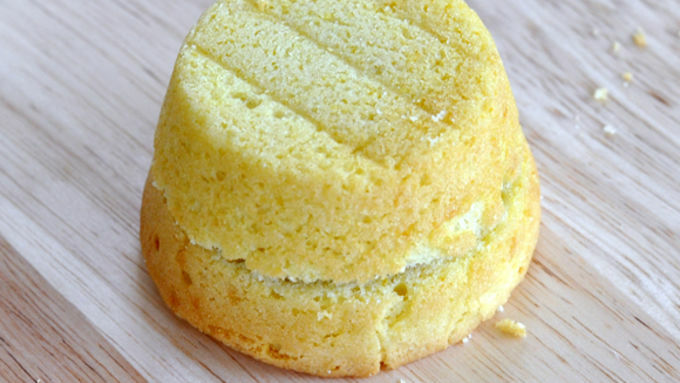 With a sharp serrated knife, level the top (yes, you can eat that part right now) and cut the mini cake in half. Invert it -- so the cut top side is at the bottom. Add gluten-free seedless raspberry jam as the filling. Gob it up in the middle like this, but don't get close to the edges. Add the other half on top. Then, using a small knife, start slathering Betty Crocker Butter Cream Frosting on -- also gluten free, and it's totally ready to go. Is this a great world, or what? Tip: Keep a separate small knife in a glass of hot water. When you're done frosting the sides and top, run the hot, wet knife around the cake to smooth the frosting. Pro trick! Or are you more traditional? Gotcha covered there too. A plump fresh raspberry on top would be sent from heaven. YUM! That filling tastes all fancy pants. Your gluten-free peeps are taken care of and will definitely feel the love. So, now you can stress about the really big deals -- like remembering those rings. And the groom. Definitely don't forget the groom.